The caldera of Batur Volcano is one of the volcano caldera in Indonesia that has become a global geopark region. 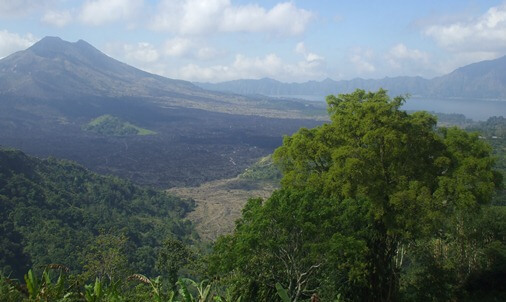 Batur Caldera has been set on 20 September 2012 as part of the Global Geoparks Network (GGN) by UNESCO. The area has been proposed by the Government of Indonesia since 2009, and is now an area of ​​the third geopark in Southeast Asia. 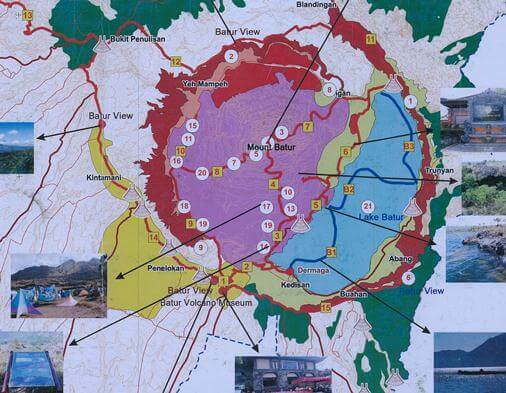 Let's take a closer look to the Batur Global Geopark! The Global Geoparks Network (also known as the Global Network of National Geoparks), is a UNESCO assisted network established in 1998. The geoparks initiative was in response to the perceived need for an international initiative that recognizes sites representing an earth science interest. Geoparks hold records of past climate change, an educators on current climate change and the best practice approach to utilizing renewable energy and green tourism. Geopark is basically combines the protection values, education, and local economic growth based geotourism. Geotourism adds to ecotourism’s principal focus on plants (flora) and animals (fauna) by adding a third dimension of the abiotic environment. Thus it is growing around the world through the growth of geoparks as well as independently in many natural and urban areas where tourism’s focus in on the geological environment. GGN aims at enhancing the value of such sites while at the same time creating employment and promoting regional economic development. The development plan should be integrated into the regional spatial planning in areas that have been built by the region. 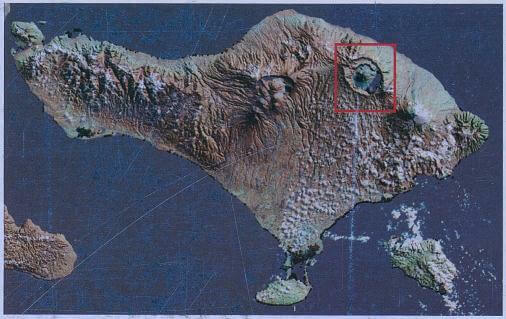 Batur Caldera is one of the most beautiful caldera in the world (van Bemmelen, 1949), with a size of 13.8 x 10 km. Coupled with other caldera structure formed at the center which has a smaller diameter of 7.5 km. Mount Batur itself has a height of 1,717 meters above sea level. The ash deposition of the ancient eruption of Batur Volcano produced very thick, solidified and is currently used for building materials for shrine (temple), sculpture and more. Has a unique biodiversity that managed by the Nature Park, forest plants generally consist of several species. There is a unique fauna, monkeys, living around the crater of Mount Batur. There are species of the famous dog, called Gembrong (Anjing Kintamani), the shape of his face like a wolf, while the body has similarities with Chowchow in China. Had one of the very unique culture that is Trunyan Culture (Burial Culture), where the bodies laid out under the tree of Tarumenyan. A caldera is a large volcanic depression (collapse), a type of volcanic crater, formed by the collapse of an emptied magma chamber. The depression or collapse often originates of a single cataclysmic eruption, or it may occur in stages as the result of effusive volcanic eruptions from the system. A collapse is triggered by the emptying of the magma chamber beneath the volcano. If enough magma is ejected, the chamber is emptied Unable to support the weight of the volcanic edifice above it. Then the center of the volcano within the ring fracture begins to collapse. The total area that collapses (or caldera) may be Reached Thousands of square kilometers. 12. Pinggan – Sukawana – Kintamani : Dalem Balingkang Temple, Kintamani Dog, Penulisan Temple, PELNI, and 3 Religion Graveyard. 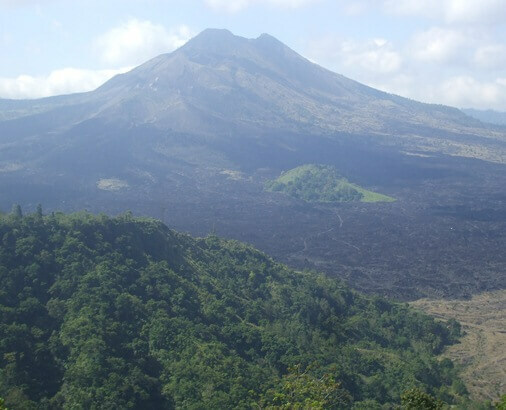 Batur Global Geopark is a harmonious blend of the three diversity included geology (geodiversity), biological (biodiversity) and culture (cultural diversity). At last, the management goal is to build and develop local economies with the protection of geological, biological, and culture diversity which contained in the region. It is hoped that the existence of the first Geopark in Indonesia will impact the emerging of another Geopark elsewhere in the world. We create this site to share more information about tourism in Bali. You can use the information in this site but always refer to the Privacy and Terms. Thank You!